Limited trim. Ford Certified. EPA 25 MPG Hwy/18 MPG City! Heated Leather Seats, NAV, 3rd Row Seat, Back-Up Camera, Premium Sound System, Satellite Radio, Alloy Wheels, WHEELS: 19" PAINTED ALUMINUM, Rear Air, Power Liftgate. AND MORE! Leather Seats, Third Row Seat, Navigation, Power Liftgate, Rear Air, Heated Driver Seat, Back-Up Camera, Premium Sound System, Satellite Radio, iPod/MP3 Input, Bluetooth, Remote Engine Start, Dual Zone A/C, WiFi Hotspot, Cross-Traffic Alert. MP3 Player, Remote Trunk Release, Keyless Entry, Privacy Glass, Child Safety Locks. WHEELS: 19" PAINTED ALUMINUM (STD). 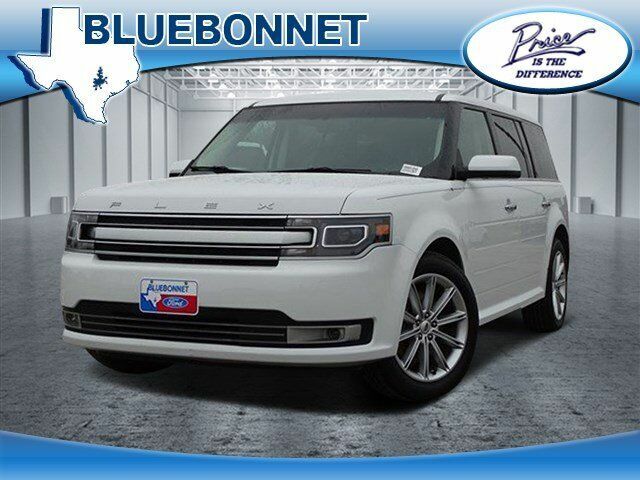 "The 2015 Ford Flex offers a desirable combination of space, versatility, features and solid driving dynamics. It's a top choice among large, seven-passenger family crossovers." -Edmunds.com. Great Gas Mileage: 25 MPG Hwy.